Blind Orphanage Founder 'Mr Mahysar' is the children's hero. Why? Because as a blind man who started with nothing, Mahsyar rose up through poverty to become one of Indonesia's great musicians, a Stevie Wonder. Mahysar went on to build this Blind Orphanage that empowers & inspires blind orphans to be independent, proud children who achieve school results higher than the national average. 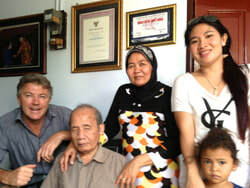 Unfortunately Mr Mahysar is old and not so well and the orphanage seeks financial support. 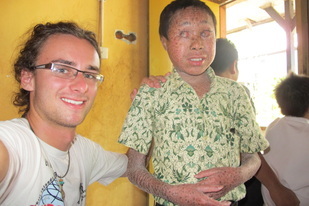 It took a blind man to build a blind Orphanage for blind children in Lombok . Mr Mahysar has a unique tropical Sasak flavour to his music & he rose to fame as a singer musician in Lombok and Bali and put all his earnings into his Blind Orphanage. 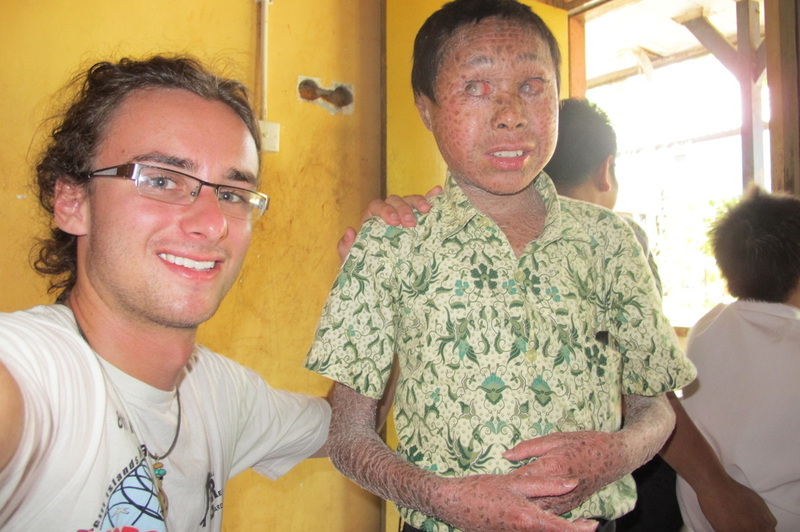 The Blind orphan problem was huge in Lombok and together with his brother they built this very special orphanage, specially set up so could get educated and empowered as a group. After a lot of lobbying Government and with their own funds the orphanage got new buildings in 1995 (no NGO or western help) and hosts around 40 kids. Mahsyar's health is not the best and it is our intention to help in a positive way without impacting the children's studies. THIS IS A VERY SMART ORPHANAGE & SCHOOL: The kids here are intelligent & extremely capable. The children only get 40 cents per day for 3 meals by government, not enough. 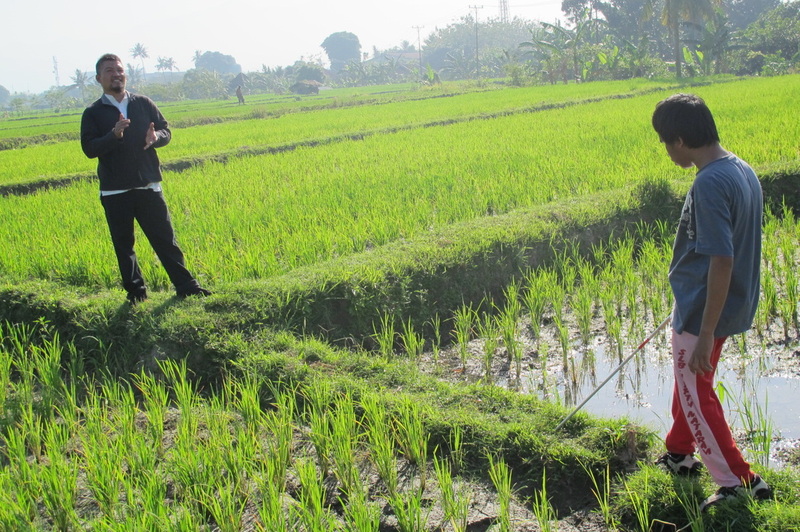 It's 'Karate kid training' in the rice fields with sticks, these kids walk through traffic mad Mataram city by themselves. 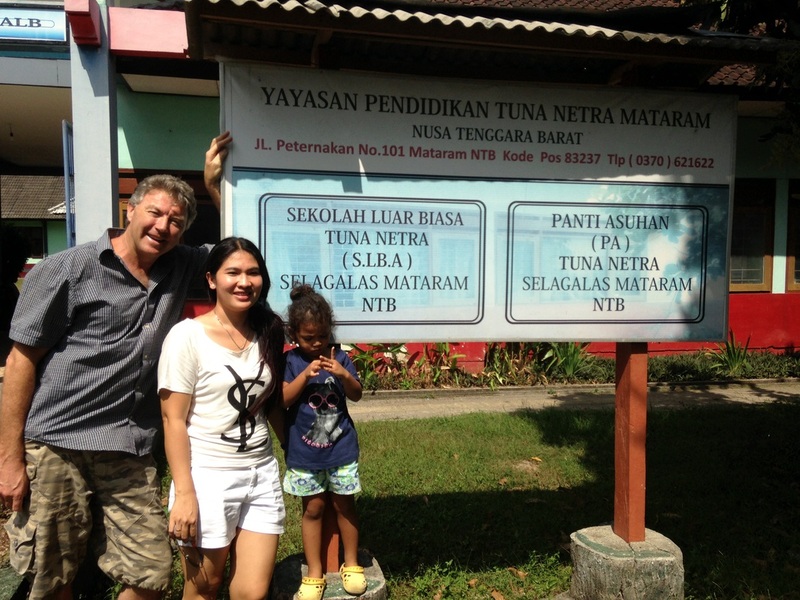 Name of Orphanage: Yayasun Pendididikan Tuna Netra. From the 30 children 7 were found by JFF foundation not to be blind! When talking with John Fawcett from the JFF Foundation in 2014, about the situation at the blind orphanage, he told me that he had tested many blind orphanages & often 20% of the children were not blind at all and simply needed operations. 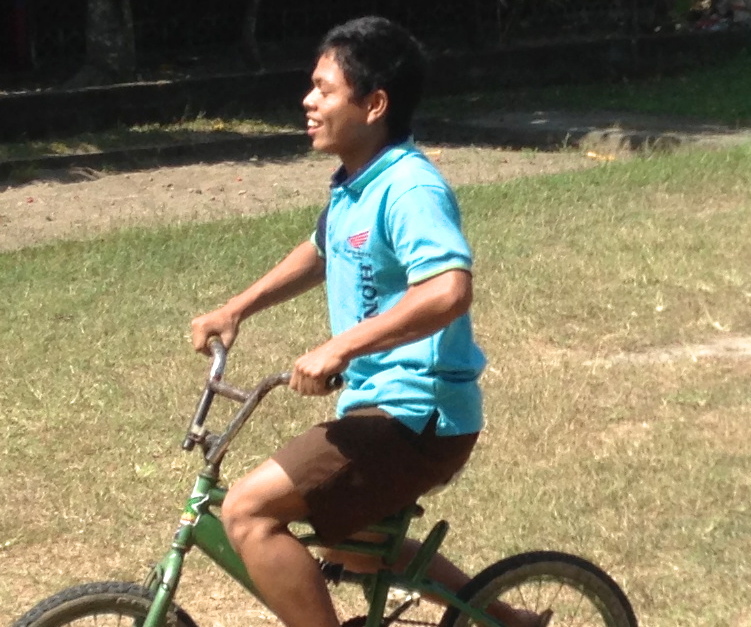 Taking 30 blind kids to Bali was a cost and logistics nightmare so we asked John to fit it in when he could. I like words like 'now', 'today', 'ASAP, but it took around 5 months but the news was as John suspected - 7 of the children were not blind. Cattact operations are around $70 but with small children they won't sit still and require a full anaesthetist which pushes the prices up considerably. How do blind people use a smart phone? For the blind children this is pure freedom - Gawi loves to get the news - read face messages from his friends the world is open to him. Wikipedia etc - any book he wants and has been crucial in helping Gawi with his maths in the past. Infact all the blind orphans would treat a phone like this as gold - maybe between us all we can get a few. connected to wireless allow us to visit anywhere in the world, they connect us to any library in the world, the news which we all love and to be be able to face book message anyone in the world. This freedom for us"
"This is freedom for us"
Mahsyar music income built the orphanage. 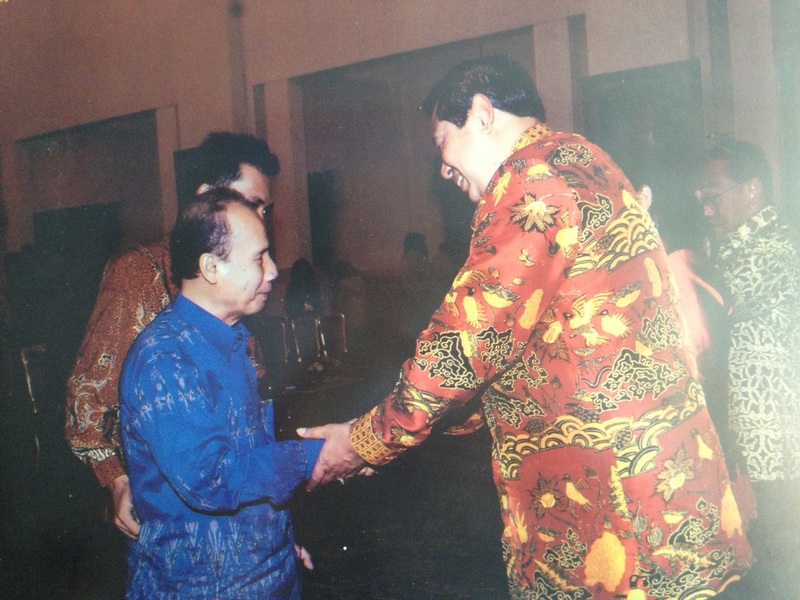 Mahysar's recognition by the president is one of only four ever given in Indonesia. This might be all well and dandy, but the Government have forgotten him & the price of the shirt on the president, would probably feed all the orphan's for 3 months. If you go to Mataram Mall there are purposely un washed children who run up to you with there hand out ' Money Mister'. Bali is fill of professional Beggars who take turns holding babies that are not theirs begging from tourists - the freshest of the tourists pay and the business of begging grows. Many poor Villages who receive regular western donors bringing clothes, food & even money see a westerner as a person a welfare provider, I am told of village mothers fighting as they sift through bags of second hand clothing and the truly poor people missing out Mahsyar tells me it is easy for blind people to be lead around shops begging & has discussed this with people who do it, his conclusion is that when a person does this he losses his dignity & is never happy. How would you like it if people once a week walked up to your children and gave them $20 - if you were poor you would want it given to you as a parent to give to the kids. Don't let looks fool you! These are smart kids. Their school in the national exam is much higher than the National Average. They are trained to resist the smallest amount of pessimism. Poverty drives some awful things, but it is more than this and complex. All the children here come from backgrounds of the poorest of the poor. From the 30 children at the orphanage some 60% are genuine orphans and the rest have some kind of family or parents. Sadly these kids have been dumped and left here, sadly in their shame they don't visit with only 5 children getting visits from parents & family. There are 27 more Lombok blind children waiting to come if funding is found.